It had been a bone numbingly damp winters day as I travelled the length of Glen Etive scouring the landscape for inspiration. The cloud had been thick and the drizzle relentless. Suddenly the clouds started to thin, allowing the weak sun to be seen. 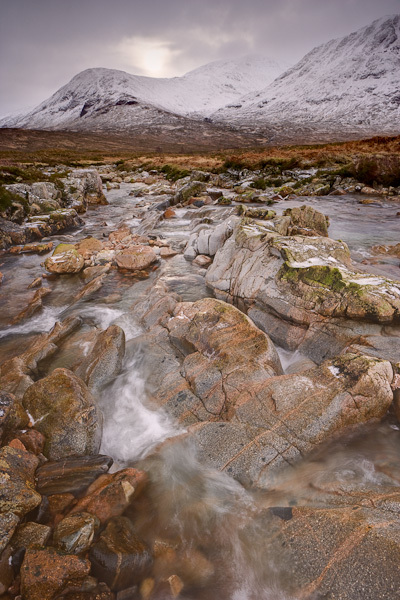 I quickly teetered over the slippy rocks and set up my tripod midstream. Composing the image promptly, I managed to fire off two frames before the sun retreated behind the clouds never to be seen for the rest of the day.